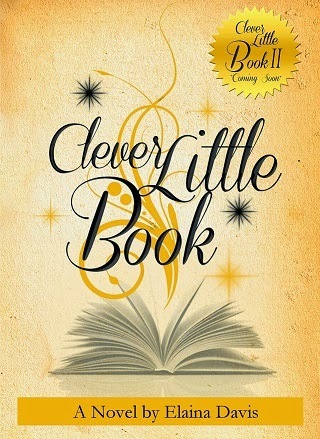 "Clever Little Book," is the first of an AMAZING Series that Uplifts and Encourages the reader. All under the guise of a beautiful love story, readers learn valuable life lessons as they take this magical journey with the characters. Easy to read and love, "Clever Little Book," will quickly become a favorite! The characters are endearing and the adventure never ends as their mundane lives are suddenly immersed in a perfect blend of Fantasy and Spirit. As the main Character Isabel, stands down at the dock daily believing her love will one day come in on a ship, she learns through adventure, drama and fantasy that love is NOT primarily romanticism as she had once believed. Although a simple and childlike story on one level, Clever Little Book has a disarming depth to it that will entrance readers of all ages. It's tone is universal and can and should be embraced by people of all races, creeds and religions. At it's core it's a story that urges it's readers to live in the moment, and to not forfeit the beauty and wonder of life's journey with over concern for the final destination. Also, that it's NEVER too late to find your true love! Davis is an inveterate storyteller. This is obvious from her tall tales that link one story/chapter to the next in Clever Little Book and which seem to spout almost effortlessly from her pen. Before long, the reader finds that crossover details from one story (for the chapters feel that way at first, as if they are individual stories that flow one into another as if by chance, not design) have interwoven themselves into a plot, that of an old woman who has waited a lifetime for her love. This old woman, like almost all the other characters, is easy to like and feel for.